SBS has just released the Official Character Posters for Jang Ok Jung on the official website. 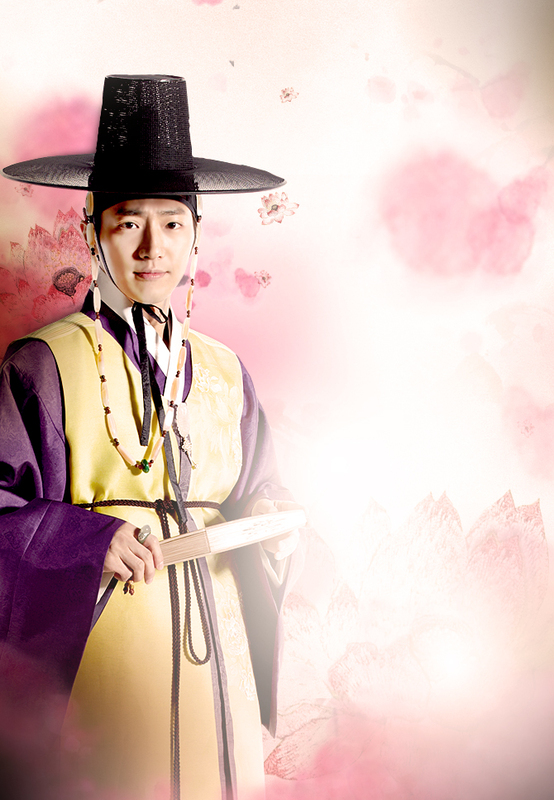 As this drama will revolve around Jang Ok Jung who's a fashion designer, I know that the hanbok will be exquisite and beautiful. 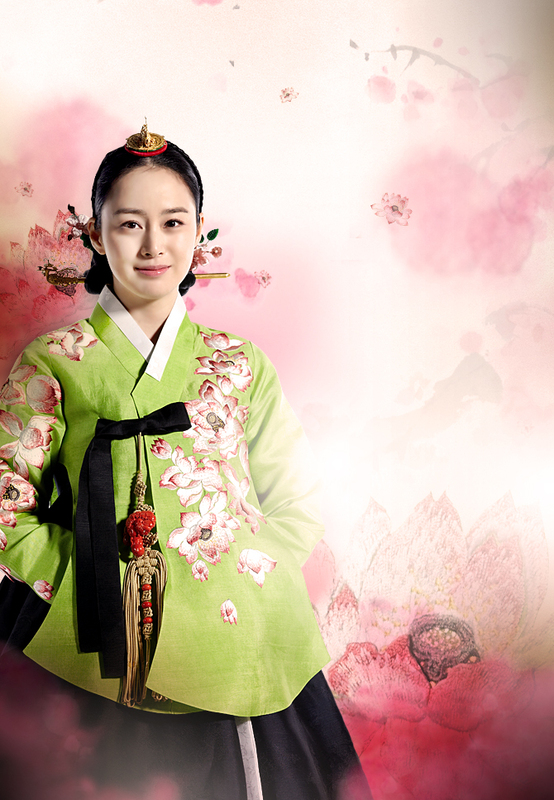 I especially love Kim Tae Hee's green hanbok with its detailed gorgeous pink flowers, stunning. What's going on with Jae Hee here? Big sigh. Can I talk to his cody? 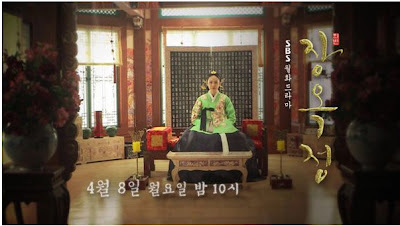 Jang Ok Jung premieres on 8 April 2013. Sean and Jung Hye Young are one celebrity couples that I admire & adore. So I was really excited when I knew that Jung Hye Young has chosen Gu Family Secret as her drama comeback in 2.5 years. I didn't really like Return of Iljilmae (the narration part annoyed me), but I watched all Jung Hye Young's scenes. 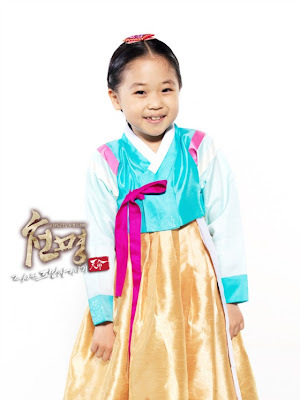 She's a gorgeous lady, and she's even more beautiful wearing hanbok. And I thoroughly enjoy her natural acting. Gu Family Secret has just released the latest stills of Jung Hye Young, who transformed as a gentle & nurturing Head Gisaeng Chun Soo Ryun. These stills perfectly captured Jung Hye Young's amazing transformation as Chun Soo Ryun. 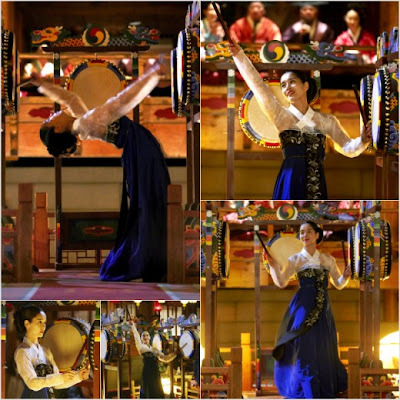 Jung Hye Young has gone through intensive dance training to learn this traditional dance [‘Ohgomu’ (‘Five Drum Dance’)]. The scene was filmed for 6 hours in freezing temperature, and she earned praises for her enthusiastic and outstanding performance. I can not wait to watch this scene! The official Gu Family Secret / Gu Family Book's main protagonists poster photoshoot. Lee Seung Gi who will be portraying half-human, half-beast Choi Kang Chi and Suzy who will be playing as martial arts expert Dam Yeo Wool. Lee Seung Gi looks leaner (he lost 3kg while preparing for this drama) and younger. I love his ponytail hairstyle for GFS. And Suzy looks beautiful as always. I can't wait to watch their blossoming on-screen chemistry. Kang-Dam Couple, bring it on! 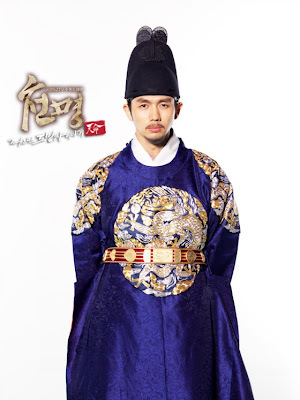 Mandate of Heaven is a sageuk thriller drama about a royal physician & a doting father Choi Won (Lee Dong Wook). Unfortunately, he's trapped in King's assassination plot and becomes fugitive with his ailing daughter. As he's racing against the clock to find the cure for his daughter, he's also running against people who're trying to capture him. 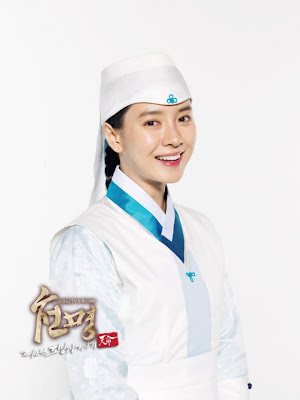 Hong Da In (Song Ji Hyo) is a nurse and his loyal assistant who ends up falling in love with him. While he's on the run, a bandit's daughter So Baek (Yoon Jin Yi) helps him and entangles in love triangle with Choi Won. Crown Prince Lee Ho (Im Seulong) who has a very tough & tense life in the palace, trusts Choi Won. So can we expect bromance between Choi Won & CP Lee Ho? I hope so! And I hope CP will do his very best to free Choi Won from all these conspiracies. Mandate of Heaven premieres on April 24, it follows IRIS2. I don't really follow When a Man Loves as from the stills look like this drama will be a sappy depressing melodrama. Honestly, I love the scripwriter's previous works (most recently, The Equator Man), but somehow the official poster reminds me of TEM and I'm not quite ready to watch another similar revenge drama. 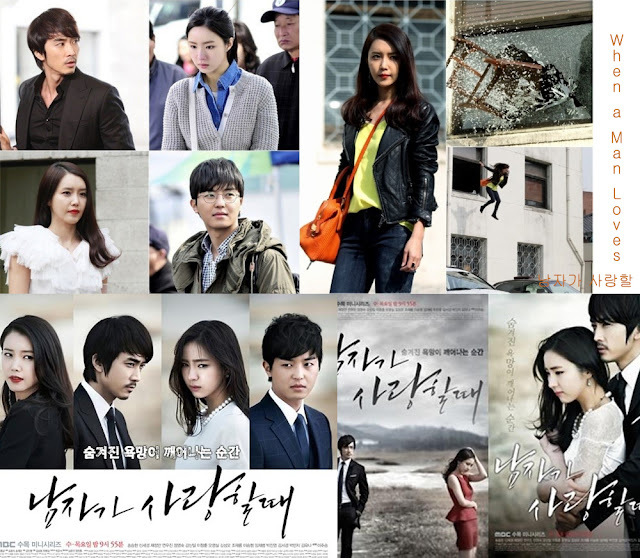 When a Man Loves will follow 7th Level Civil Servant and will premiere next Wednesday, 3 April 2013. They had their press conference yesterday. If done right, All about My Romance can become one of my favorite Spring K-drama. Political rom-com is my forte and my expectation is high since I love PD & Scriptwriter's previous work, Protect the Boss. To put it simply, this drama is about two people who have opposite political view; and clash with each other. Kim Soo Young (Shin Ha Kyun), a conservative, a former judge, a kendo expert. He enters politic because he doesn't want to receive any pressure from anyone, especially from his superiors. But somehow he always finds himself arguing and clashing with No Min Young (Lee Min Jung). They fall in love with each other but have to hide their love relationship, because they come from the opposite party. Joon Ha (Park Hee Soon), a prosecutor who will become Min Young's daddy-long-legs as he'll be her most trusted man as she enters politic. And I'm not surprised that he's in love with her too. Ahn Hee Sun (Han Chae Ah) is a reporter. There's always be a reporter in political rom-com, isn't it? She's Soo Young and Joon Ha's junior classmate. All about My Romance will begin on April 4, 2013 (Thursday). 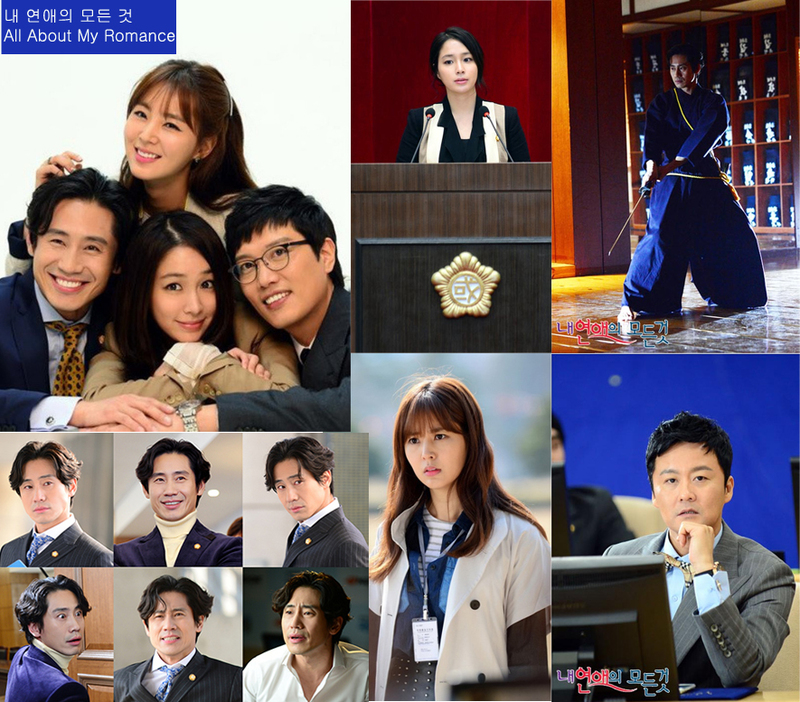 Can't believe that we've almost passed the 1st quarter of 2013, time flies by so quickly this year that it's hard to believe we're going to welcome new line-up of Spring Dramas. Hopefully the new bunch of dramas will make up the lackluster 1st quarter of 2013. So what can we expect in the dramaland as the flowers will be blooming beautifully this season? Let's see. KBS2 newest Mon-Tues drama will be the adaptation of Japanese Drama The Pride of the Temp, God of Workplace (also known as Queen of the Office), an office romantic comedy drama about a mysterious temporary worker "Ms Kim" (Kim Hye Soo) who holds more than 120 certificates & licences in various areas (including office-related works), making her the most capable but unique worker who can suddenly bursting her random skills at work. Ha... Jang Kyu Jik (Oh Ji Ho) is one of the superior in the company who puts his life on the line for his work. A very dedicated senior worker. Although he's graduated from prestigious university in the USA, however, he tends to release his childish behavior. Obviously, things will change as this mysterious temporary worker is challenging him with her various random skills. The plot sounds fun and I love office rom-com. Moreover, as I love to take random courses (at the moment I'm doing Computational Photography & Nutrition online courses), I can relate with Ms Kim hahaha.... I can't wait to see how these lovelines will unfold. The press conference was held on Monday, 25 March 2013. Queen of the Workplace premieres on April 1, 2013. Gu Family Secret will follow MBC's 51st Anniversary Drama "Horse Doctor". A period piece about Choi Kang Chi (Lee Seung Gi), a male gumiho (or some say he's half-human & half-beast); who's on a journey to find the Gu Family Book to find a way to become full human. 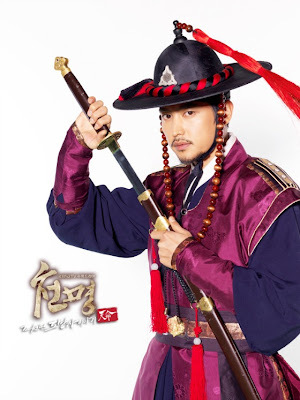 His father Gu Wal Ryung (Choi Jin Hyuk) is a guardian God of Jiri Mountain who falls in love with Yoon Seo Hwa (Lee Yeon Hee) who run to the mountain to escape from Cho Gwan Woong (Lee Sung Jae). Seo Hwa decides sends newly born Choi Kang Chi down the river, in the basket. Park Moo Sol (Uhm HoSub) picks him up and raises him up with his two children, Park Kyung Jo (Lee Yoo Bi) and Park Tae Soo (Yoon Yeon Seok). Kyung Jo is Kang Chi's first love. Then, he begins to develop romantic feeling with martial arts expert Dam Yeo Wool (Suzy) who will help him on his journey to become a human and later down the track, he will discover his parents (and confront his father who lost his memories and serves the enemies). 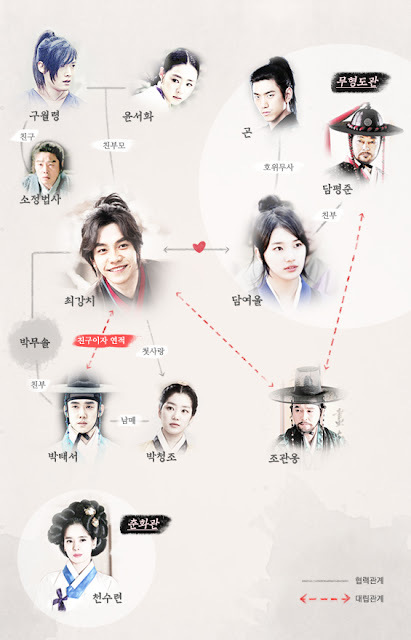 This will be the first historical drama for some of the casts, including the main casts, Lee Seung Gi and Suzy; senior actor Lee Sung Jae who will be the villain, the evil mastermind in GFS; Sung Joon & Lee Yoo Bi. Truthfully, I don't really like fantasy period drama; I never finished watching Iljilmae, Return of Iljilmae, Arang & the Magistrate and some other famous fantasy period dramas. The only one that I like is The Legends (but the ending disappoints me). But I'll be watching Gu Family Secret because of my love for Lee Seung Gi; so hopefully this drama will change my mind about fantasy period drama. Gu Family Secret premieres on April 8, 2013 and the press conference will be held on April 2, 2013 - 3PM. And the last one which will conclude Monday - Tuesday line-up is another period drama, Jang Ok Jung (previously known as Jang Ok Jung, Live for Love). Adapted from novel Jang Ok Jung, Live for Love (published in 2008). When I searched about this drama on Nate, I saw that the writer wrote another book titled Jang Ok Jung, Live for Love (published in February 2013). Unsure what's the difference between these two books, but I vividly remember that the publisher planned to re-print the 2008 novel because of increasing demand (I guess viewers want to read the novel first to get a basic understanding of the plot before the drama airs). 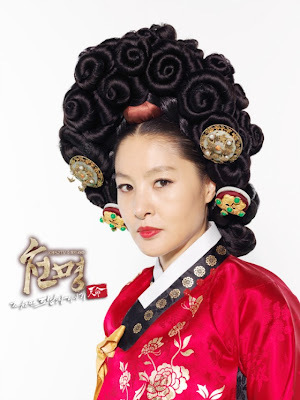 Jang Ok Jung / Jang Hee Bin is a famous villain (as King Sukjong's concubine who deposed and then poisoned Queen In Hyun to be the Queen). 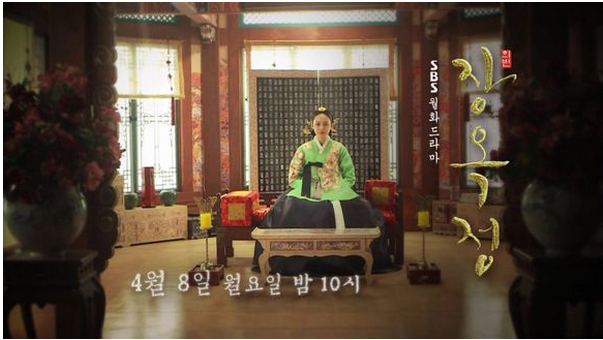 However, in this drama, she will be the heroine and we will follow Jang Hee Bin's (Kim Tae Hee) journey from her childhood, her first love's (played by Jae Hee) story, then after she lost her first love, she enters the palace as a court lady. 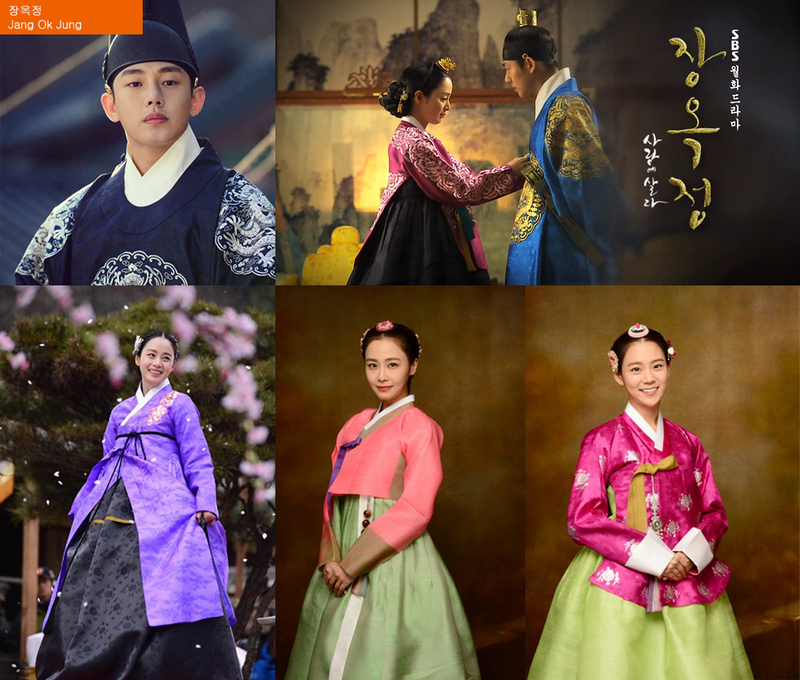 In the palace, King Sukjong (Yoo Ah In) who is 6 years younger develops a romantic feeling to this beautiful fashion designer and takes her as one of his concubine. 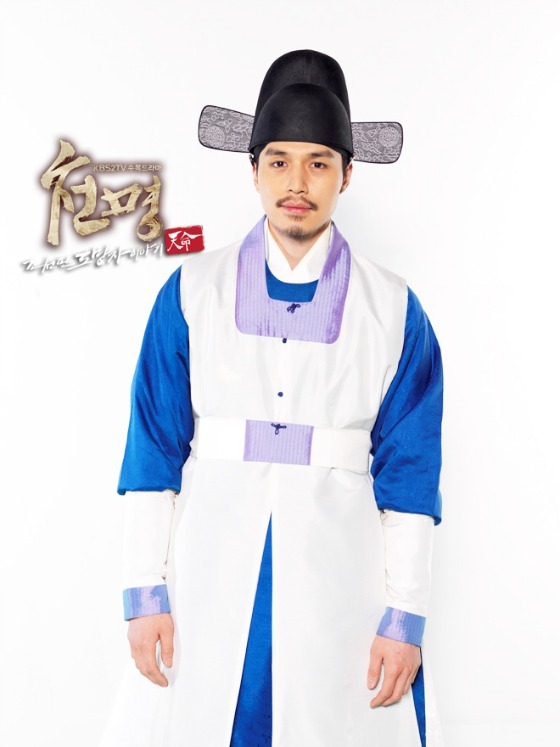 He's married with Queen In Hyun (Hong Soo Hyun). Cares about nothing but his daughter.
" I'll give my life to save you! If I can't save you I don't deserve to be a father or a doctor." His motto in life is to play it safe and make it through another day. He has what it takes to be much more successful in life, but he hides his true talent. He cares not for fame or fortune. All that matters to him is getting off work on the dot so he can spend time with his sick daughter. He cares little for what goes on at work. He is focused only on finding the cure for his daughter's condition. Naturally, no one at work looks up to him. But there's more to him than meets the eye. He simply wants to stay under the radar so that he can have more time to do what he must. Unfortunately someone won't let him be.
" I won't let false accusations take your life. I will save you this time." Her fair complexion and clear eyes makes her stand out anywhere. She loathes lies and deceptions. Which is why she hates Choi Won. How dare he poses as a doctor! She finds his attitude at work unacceptable! She looks up to that one great doctor that saved her life. Her father was framed and dishonorably demoted. When everything in her life was torn apart and she nearly died, a great doctor saved her. He inspired her to become a doctor. She is devoted to her craft and will not tolerate those unfit for the job. "If I don't let you go, will that cost you your life? Choi's wife gave her life to give birth to Rang. She grows up to resemble her mother more and more. Unfortunately she also suffers from a condition similar to her mom's. Later it turns out she is suffering from leukemia. Still she stays as bright and cheerful as ever. She is smart enough to make use of her very giving father. Knowing her sickness makes her father sad and worried, she tries hard to appear happy and healthy in front of him. One day, something happens while she brings her father's clothes to his workplace. "You want my life, but you can't have it. I must live and become a great king!" The prince has two faces. A brilliant strategist who survives many wars. His wisdom and skills are outmatched only by his admirable character as a caring leader. Many believe he will make a great king some day. Unfortunately he has a dark side. Although he seems to possess no flaws, there lies madness within. Even as a child, many were after his life. And those who loved him dearly died. He hates himself for failing to protect them, and suspects everyone of being a potential foe. It was the only way he could stay alive to this day. But there is one person he trusts with his life. 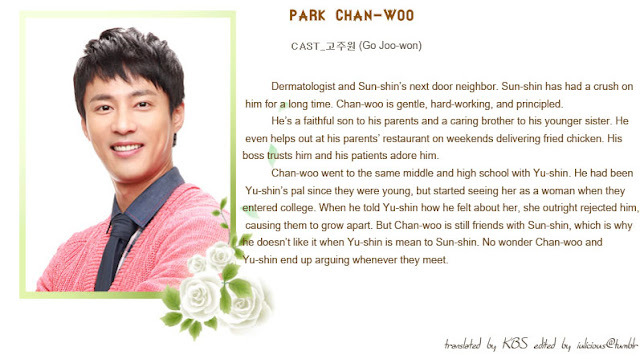 The grand son of Choi Jang-son named Won who is his best friend that helped him get where he is today. "I did not give birth to you, but you are my son. But because you are not my own flesh and blood, I have little choice but to be this way. Please understand why I must be this way. I do love you though." The queen that longs to be a king. She will get rid of Lee Ho to ensure her candidate of choice becomes king. A master of manipulation and mind games who rose to power at age 16. While many hoped she would be the mother the prince never had, her ambition prohibits her from doing so. To rise to absolute power, she will do everything she can. To get rid of the only thing that stands in her way, she secretly rounds up a group of powerful and faithful followers to help her achieve her ambitious goals. She waits for the right time to deliver the ultimate blow. "No one is above the law. When you are on the run I will catch you. And you are no exception Choi Won." He may be a government official but he is a warrior at heart. He may seem interested only in girls and drinking but he is a talented official and a fierce martial artist. He always gets his man. If he is on your trail there is no escape. 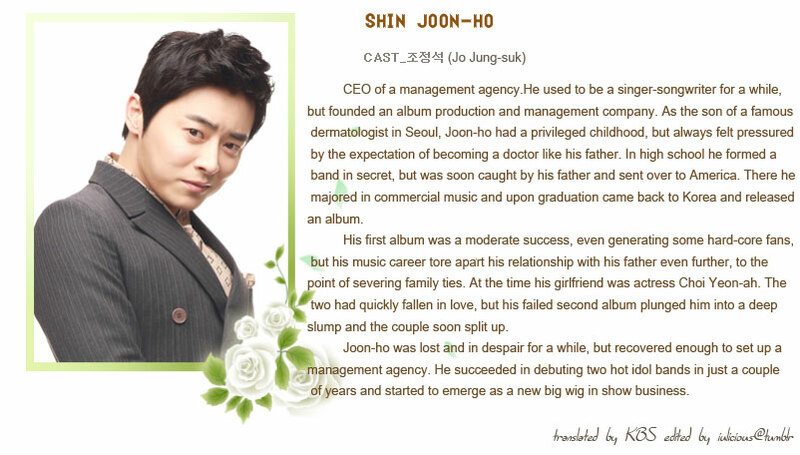 And his current assignment is bringing the murderous Choi Won.
" I didn't want to be born a girl. But now I want to be a woman more than anything. Talk about timing!" The daughter of a bandit leader who Won runs into. She is energetic, outgoing and loud! Her mother passes away when she was little. That is why she has double the love for her father. But as she matures he seem more distant. Naturally she consistently complain about being born a girl, thinking her father would pay more attention to her if she was a boy. Temporary employee Miss Kim (Kim Hye-Soo) does everything at work. She is also shrouded in mystery. Her colleagues do not know her name or her background. Ms. Kim is the center of attention and she is also charismatic and funny. Jang Kyu-Jik (Oh Ji-Ho) is a permanent employee. He finished his MBA in the U.S., before returning to Korea. Ms. Kim and and Jang Kyu-Jik argue about everything. My Motto: “Do not work for your company, comrades or your seniors, but work only for yourself. In the whole universe, only I exist. Between heaven and earth only I, my allowances and my certificates exist. Do you known what the core products of Y-Jang Group are? They are Doenjang (soybean paste), Ganjang (soy sauce), Gochujang (red pepper paste), and..? Abolition of school connections, regionalism and blood ties? Society based on a merit system? These are self-comforting words of the people who have no backgrounds. I will share all the joys and sorrows with the company. So do not cross my boundary. Jang Gyu-jik is a man of the company, by the company and for the company. “My only dream is to meet a boy I like on a blind date and say proudly: “I am working for Y-Jang!” Gloomy young days due to the combination of three things: diploma mill graduate/perpetually single/temporary employee. Weep only once, forget the loneliness and grief, start anew to become a regular employee in this company – that’s more important than gochujang, daenjang and ganjang! 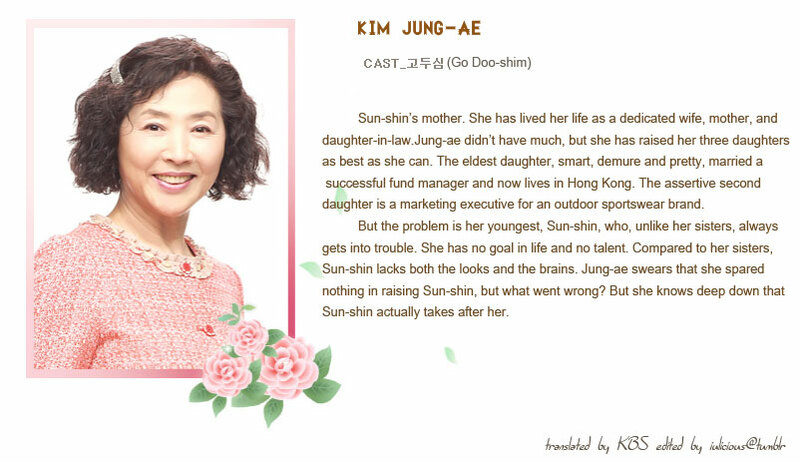 Jeong Ju-ri is a new temporary recruit who does not know the true taste of life. Moo Jung Han is a man who is almost as pure as Cheongcho Ganjang, the top-grade food of Y-Jang. He is a true salaryman who rushes forward in the competent society. He is a model man, the common-sense of Y-Jang. I am a brilliant 25-year-old regular employee. Everybody says they are tired with work and that company life is boring, but how about thinking a little more positively. If you have a lot of work to do today, you may delay it and work tomorrow, if you dislike going to the office, you may apply for leave and if you do not want to take jam-packed subway, you may ride a taxi. I am proud of my beauty. It will be fine if I fall down with work documents in both hands. OK. I, Geum Bit Na, will laugh today as well. Cho Gwan Woong (Lee Sung Jae) who was born the lowest of class and was looked down upon by the people, managed to turn his desperate life around after getting first place in the military scholar exams. Blinded by his ambitions and greed for power, he caused the death of Minister Yoon and brought downfall to the Yoon family when he falsely accused them of treason. Yoon Seo Hwa (Lee Yeon Hee) who was sold as a gisaeng to Chun Hwa Gwan, escapes with the help of Chun Soo Ryun (Jung Hye Young) and her maid (Kim Bo Mi) when she learns that her enemy, Gwan Woong has his eyes on her. Choi Kang Chi (Lee Seung Gi) who grew up with the Park family after he was picked up from river by Park Moo Sol (Uhm HoSub), the father of Park Kyung Jo (Lee Yoo Bi) and Park Tae Soo (Yoon Yeon Seok). 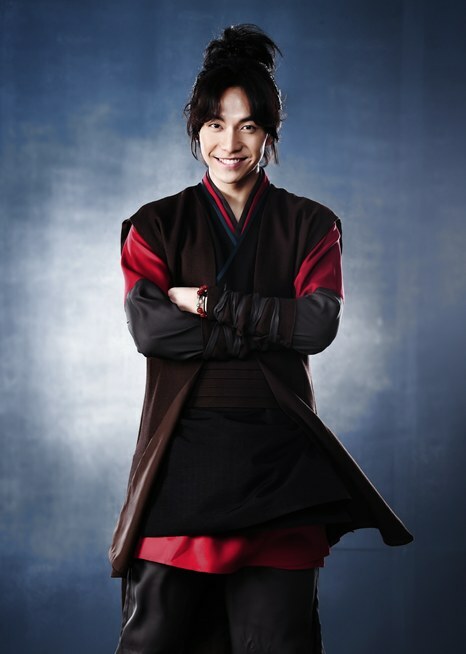 Although Park Tae Soo used to treat him like a brother when they were younger, he started to feel a strong hatred towards Kang Chi when he misunderstood that Kang Chi is the main cause of the downfall of his family while Park Kyung Jo who always looked on him began to make use of Kang Chi to pave her way back to the noble status that her family once held after she was sold as a gisaeng to Chun Hwa Gwan and fate leads Kang Chi to meet up with Chun Soo Ryun, the head Gisaeng twenty years later after she encountered his mother. 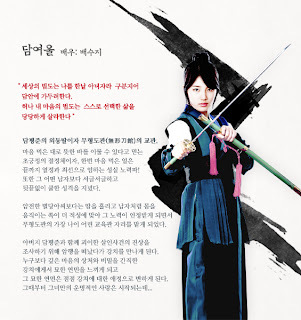 Dam Yeo Wool (Bae Suzy), the daughter of Kang Chi and Tae Soo's teacher is one of the instructors of the martial arts school and despite her young age, Yeo Wool is highly skilled in archery. 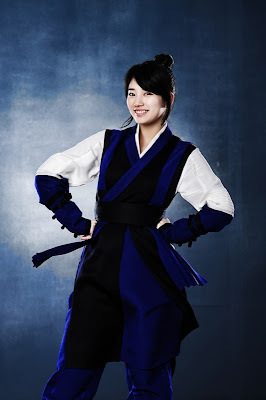 Although the cross-dressing Yeo Wool is always clashing with Kang Chi because of their different personalities, they find themselves falling for each other as they got to know each other better. 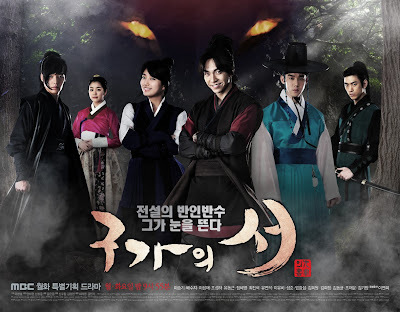 Kang Chi soon discovers that he is actually a half-man and half-beast when his special abilities began to show after he goes after some criminals and to become a full human, he needs to find the Gu family's book to find the way to become one. When Kang Chi sets off on journey to seek his humanity, he ended up confronting his greatest enemy of his life, his father who never aged nor knew about his existence. His father is Goo Weol Ryeong (Gu Wol Ryung), a guardian spirit of Mt. Jiri and his mother is Seo Hwa, making him a half-human and half-animal. Unbeknownst that he was born half-human and half-animal, he is abandoned by his mother who left him floating in a basket in a river. He is found by merchant Park Mu-sol who runs the Baeknyeongaekgwan. Kang-chi is impulsive, reactionary, and uses physical force before thinking twice. 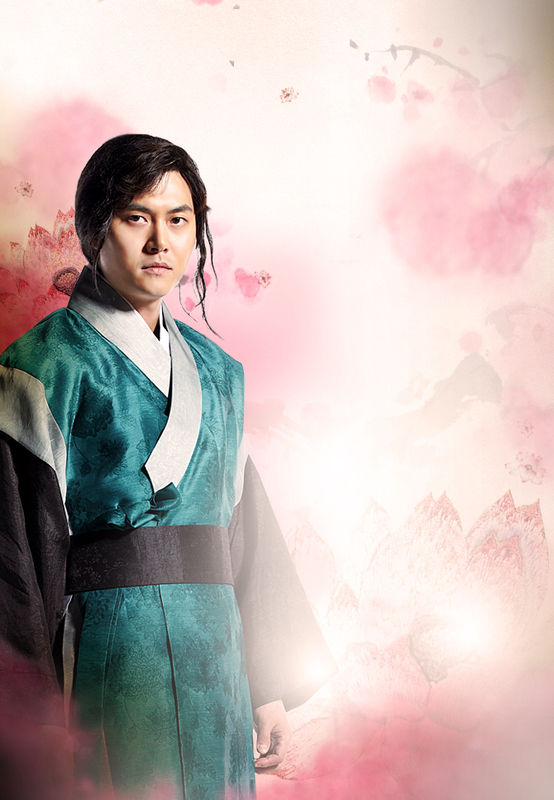 He starts life anew after encountering Dam Yeo Wool and Yi Sun Shin. She joins her father who was tasked with the job of investigating a series of murders by Yi Sun Shin. She crosses paths with Kang Chi who is falsely accused of committing murder. While Kang Chi always caused trouble, Yeo Wool discovers his innermost secret. This makes her feel sympathy for him. 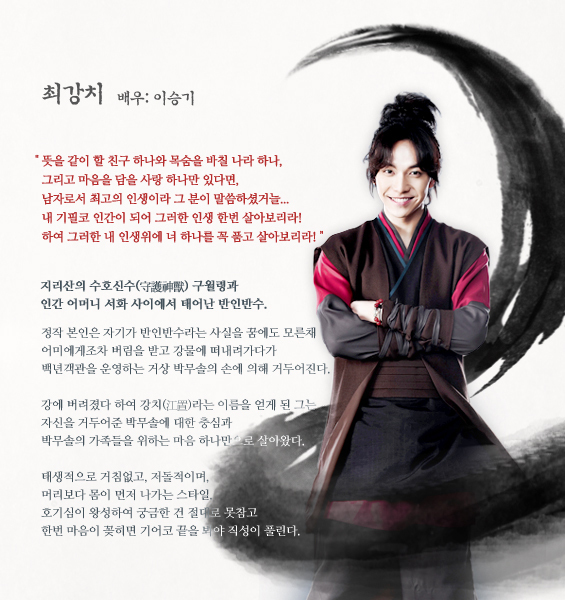 Even after knowing the truth that Kang Chi is half-human and half-animal, she trusts that he will not harm people and stands by his side. She is the only person who can calm down Kang Chi when he goes on a rampage. After being appointed as governor of Jeolla Province by Yoo Seong Ryong, he was the first official to detect the presence of Japanese spies in the Joseon kingdom. After learning that Won Gyun controls the royal palace and all the key royal administrations, he asks Dam Pyeong Jun, who oversaw a secret army of men, to spy on Japanese spies. One day, he encounters a strange boy called Kang Chi. Although Kang-chi appears to be a human, Yi Sun-shin discovers that there is another power that lies within him. So he puts Kang-chi under the charge of Dam Pyeong-jun, asking him to lead the boy towards a right path. Whenever Kang-chi is in a perilous situation, Lee Sun-shin will appear to show him a meaningful lesson to learn from the situation. He is Kang Chi's eternal mentor and hero. 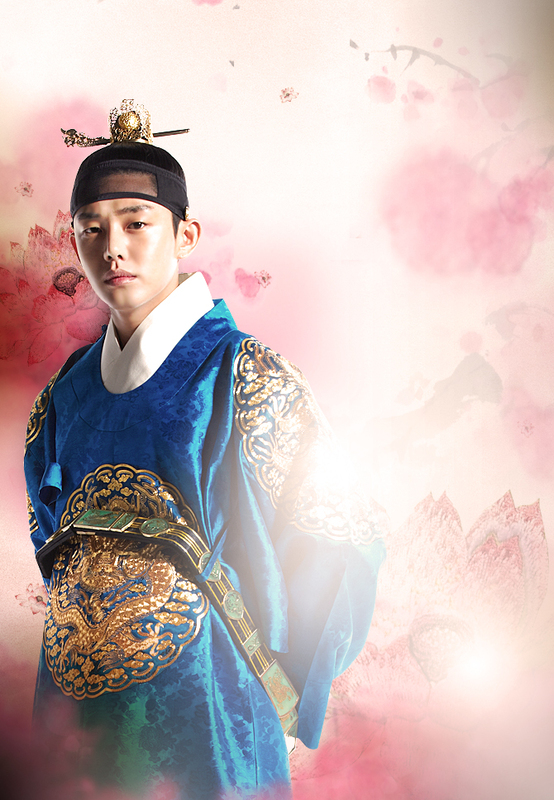 Yoo Ah In plays King Sukjong, who is married to Queen Inhyun (Hong Soo Hyun) and takes Jang Ok-jung, aka Jang hee Bin (Kim Tae Hee) as his royal concubine. Historically Jang heebin is the femme fatale who gets Inhyun ousted to be the queen herself, but in this retelling she’ll be the heroine. She’ll also be a fashion designer for some inexplicable reason… yeah, I have no explanation for that one. Lee Sang Yub (Nice Guy) plays yet another rival for Jang heebin’s affections, who falls in love with her from afar not knowing that she’s the king’s consort. 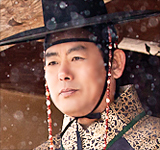 And then Sung Dong Il plays Jang Ok-jung’s cousin and evil puppetmaster, who sets his sights on making her queen. Interesting. His character will be ruthlessly ambitious and very shrewd, so completely different from his usual comical roles. 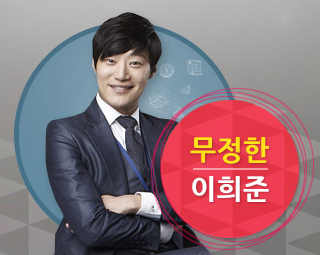 Kim Soo Young (Shin Ha Kyun) is a newly elected member of the national assembly. He is a member of the conservative New Korea Party. Prior to his election, Kim Soo Young worked as a judge, but became pressured by higher ups and decided to enter the political world. Now, Kim Soo Young becomes involved in a tangled situation with national assembly member No Min Young (Lee Min Jung), who entered the political world after her sister's death. No Min Young's sister was a presidential candidate. No Min Young is also a member of the Progressive Labor Party, who only has two members in the national assembly. 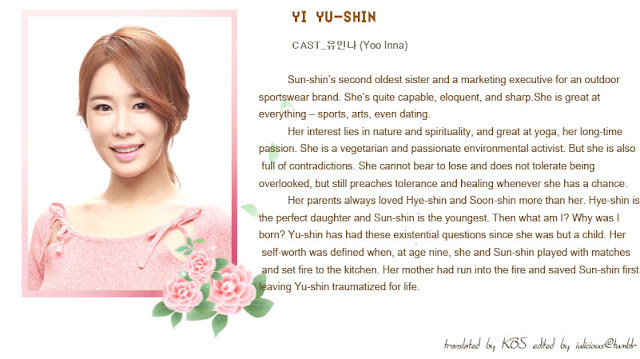 Kim Soo Young and No Min Young then begin to have romantic feelings for each other.